Facebook is in hot water for both helping turn America’s collective brains into mush and exposing millions of users’ data to shadowy political operators. But now Facebook CEO Mark Zuckerberg has an open invitation to tell Congress his side of the story. That is, if he accepts an invitation sent out today by the Senate Judiciary Committee. Republican Senator Chuck Grassley has formally invited not only Zuckerberg, but Google CEO Sundar Pichai and Twitter CEO Jack Dorsey to testify in front of Congress on April 10th. Will they go? We have no idea yet. If Zuckerberg, Pichai, and Dorsey don’t get their asses to DC next month, the committee could force them to show up. They have subpoena power, so hypothetically Congress could compel all three to testify. 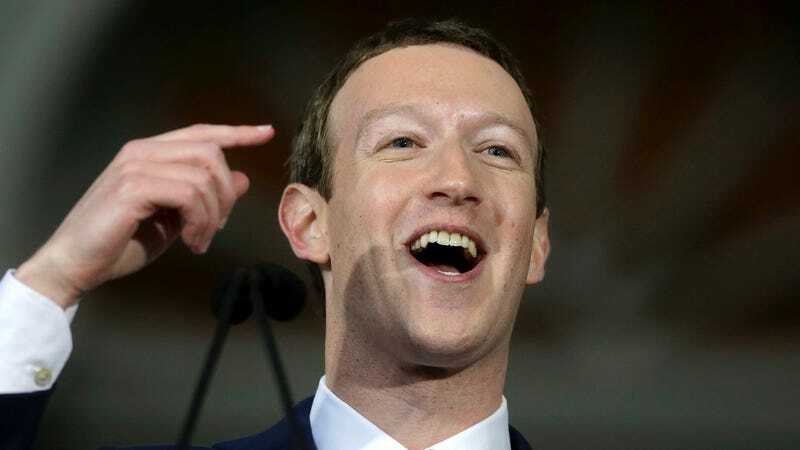 Facebook got into this mess after it was revealed earlier this month that data had been harvested from over 50 million users by a psychology professor. That data was then given to a firm called Cambridge Analytica, a political consultancy that counted Donald Trump’s presidential campaign among its clients, which used the information to understand what would hit emotional buttons during the 2016 presidential election. The hearing will broadly cover privacy standards for the collection, retention and dissemination of consumer data for commercial use. It will also examine how such data may be misused or improperly transferred and what steps companies like Facebook can take to better protect persona information of users and ensure more transparency in the process. Grassley also invited Google CEO Sundar Pichai and Twitter CEO Jack Dorsey to discuss the future of data privacy in the social media industry and how to develop “rules of the road” that encourage companies to develop tailored approaches to privacy that satisfy consumer expectations while maintaing incentives for innovation. The UK has already invited Zuck to do something similar in the UK, though it’s not clear yet if he’s going to go. Back in the US, some politicians on Capitol Hill have recently (and meekly) suggested that maybe Zuckerberg should come testify to Congress about the apparent damage the social media company has done to the US. But when these inquiries came up in the past, Facebook only sent lackeys like lawyers to give official statements. In a more concrete move against the social media giant, however, the Federal Trade Commission confirmed today that it is actively investigating Facebook’s privacy practices. Gizmodo has reached out to all three companies—Google, Twitter, and Facebook—to see if any of the CEOs plan to travel to Washington DC on April 10th to testify. So far only Twitter has responded by saying that the company doesn’t have a comment. We’ll update this post if we hear back from Google and Facebook.